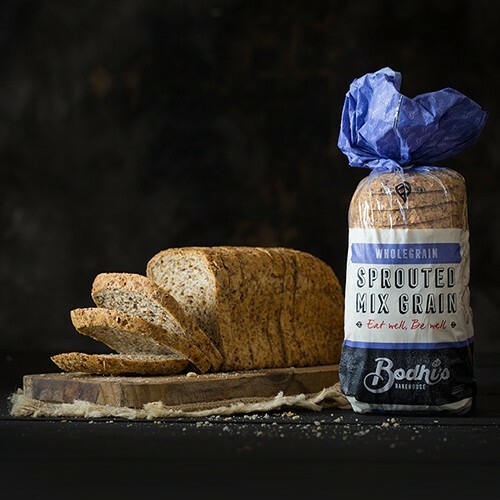 This bread is made from 100% certified organic wholegrain sprouted grains and flour. 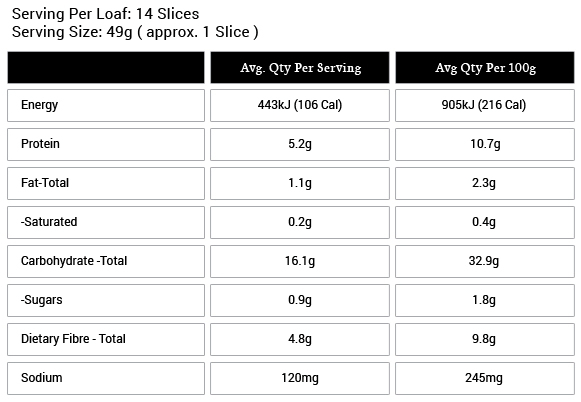 Just 2 slices per day will provide up to 30% of your daily fibre needs, as well as being a great source protein, natural vitamins & minerals. 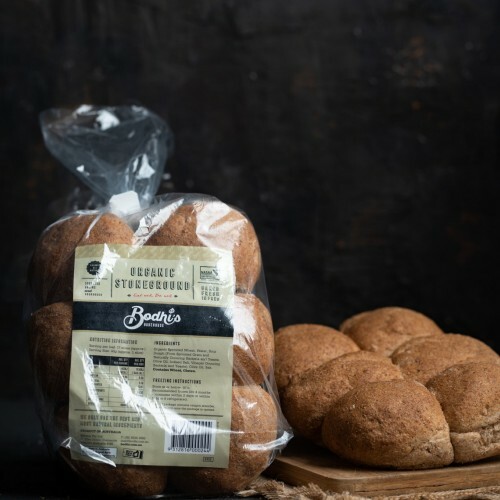 Organic Rye Bread is a full bodied, European styled rye bread made using only the best Organic Wholegrain Rye Flour and Sprouted Rye Grains to create a loaf rich in the goodness of wholegrain’s, high fibre, and the benefits of rye. 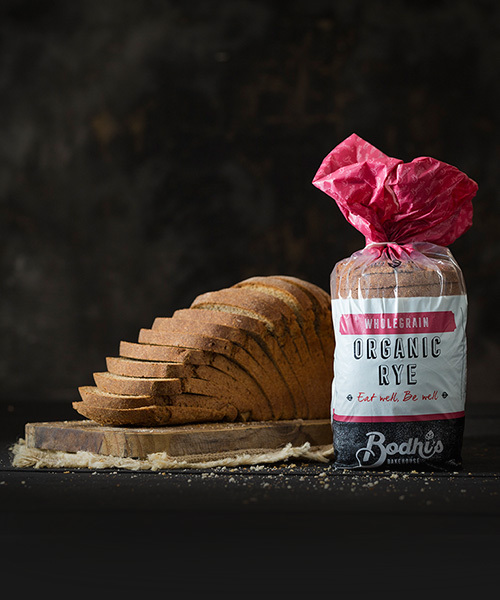 Organic Rye Bread is a thick and earthy, organically certified, rye bread with a rich and robust rye taste backed with sourdough overtones. 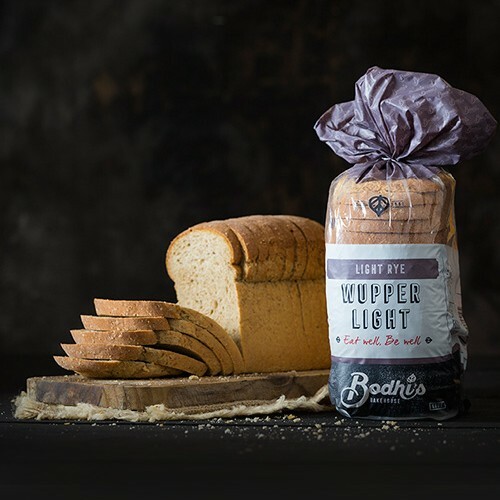 It is a healthy and full bread taste that is one for the traditionalists searching for that old world ‘real’ bread taste and feel. This full-bodied rye bread has a hearty taste perfect for combining with vintage cheeses or as an accompaniment to thick, rustic, traditional stews and casseroles. NASAA certified it is an, wholegrain rye, sourdough based loaf and also includes the benefit of being a Good Source of Wholegrain fibre, protein & natural vitamins and minerals, with less carbs than white breads and a much lower GI. Eating 2 or more slices of Organic Rye Bread everyday may help maintain better digestive balance by providing up to 30% of your daily fibre needs (wholegrain fibre). Wholegrain Stoneground Organic Rye Flour, Organic Sprouted Rye, Filtered Water, Rye Sour Dough (Rye Flour, Filtered Water, Culture from naturally occurring bacteria and yeasts), Olive Oil, Iodised Salt.